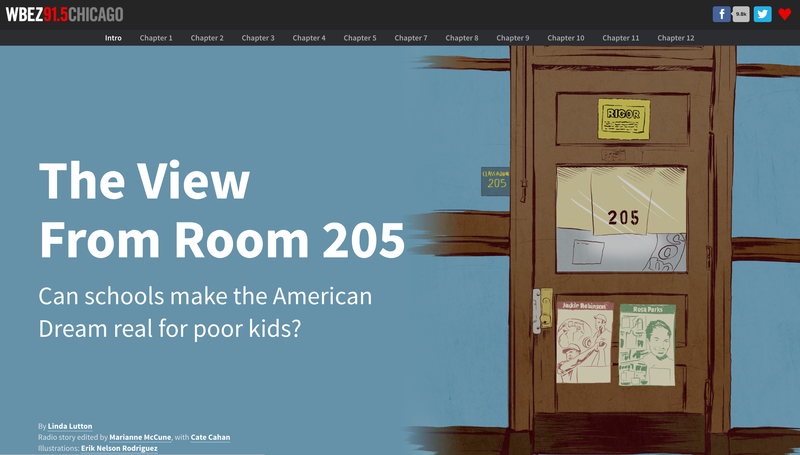 Can schools make the American dream real for poor kids? It’s this phrase, “focused and persistent,” that the story confronts by asking whether children and public schools can overcome the challenges of poverty on their own. “In the spring, when Principal Ollie goes to a performance management session with district officials, they pick apart every thing that can possibly be measured at Penn — test scores, attendance rates — all down to the tenth of a percentage point. “When she gets back, she shares a torrent of frustration with her assistant principal. At City Connects, we’ve seen the effects of pervasive poverty. A high proportion of the schools we’re in have been designated “turnaround” schools because they have been unable to improve students’ test scores. City Connects doesn’t help by building housing or eliminating poverty. But in every City Connects school, our site coordinators set up a proven system that identifies children’s needs and connects children to appropriate services and opportunities. The site coordinators match each child to a tailored set of existing resources in the school and the surrounding community. Our results show that students in high-poverty schools — like Chicago’s William Penn Elementary –- can indeed learn at high levels if we both clear away some of the obstacles poverty creates, and if we connect students to opportunities that help them to develop relationships, skills, confidence, and resilience in the face of challenges. What we’ve learned is that children and schools cannot do this work alone. To be focused, persistent, and successful, children need systematic connections to school and community services that help them thrive.